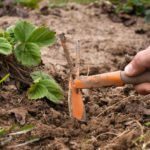 Pruning garden plants makes them look more attractive, but it also can increase the health and productivity of flowering or fruiting shrubs. When it comes to doing the pruning work, you’ll get a better result if you use the optimal tool to accomplish each part of the job. One important gardening tool is called a pruning saw. If you’ve never used one, you may have lots of questions. What is a pruning saw? What are pruning saws used for? When to use pruning saws? Read on for all the information you need to get started using a pruning saw. So exactly what is a pruning saw? Before you begin using a pruning saw, you’ll want to be able to find one in the toolbox. A pruning saw is a tool with the same sharp teeth as saws used for cutting lumber. But pruning saws are intended for trimming live shrubs and trees. There are many types of pruning saws, each intended for a particular type of branch or stem. All types of pruning saws should have hard-point, heat-treated teeth, but they come in different sizes and shapes. Using a pruning saw that matches the task at hand makes it easier to do a good job. What are pruning saws used for? They are intended to help you trim larger shrubs and smaller tree branches. If you are wondering when to use pruning saws, here’s a good rule of thumb. If the branch or trunk you want to trim is under 1.5 inches (3.81 cm.) in diameter, consider a hand pruner. If the wood is that thick or thicker, it is prudent to use a pruning saw. What are Different Types of Pruning Saws? Pruning saws come is different sizes and types. Be sure you are using pruning saws that best match the job you are tackling. For branches that are too thick for hand pruners, use a pruning limb saw. If the branch to be pruned is in a tight area, use a pruning limb saw with a shorter blade. Select a finely-toothed, curved pruning saw for branches up to 2 ½ inches (6.35 cm.) in diameter. Try using a pruning saw with coarse teeth for heavier branches. High branches require a special type of tool called a tree pruning pole saw. These tools usually have a pole as tall as the gardener using it. Expect a sawblade on one side and a curved blade on the other. The curved blade gets hooked over the branch to be trimmed. If you need to carry a pruning saw for trimming a tree, select one that has a blade that folds into the handle. This makes it easier and safer to use when you are taking it up a ladder.